Mighty oaks from little acorns grow. These earrings serve as reminders that great lives, achievements, and organizations start off small and simple. 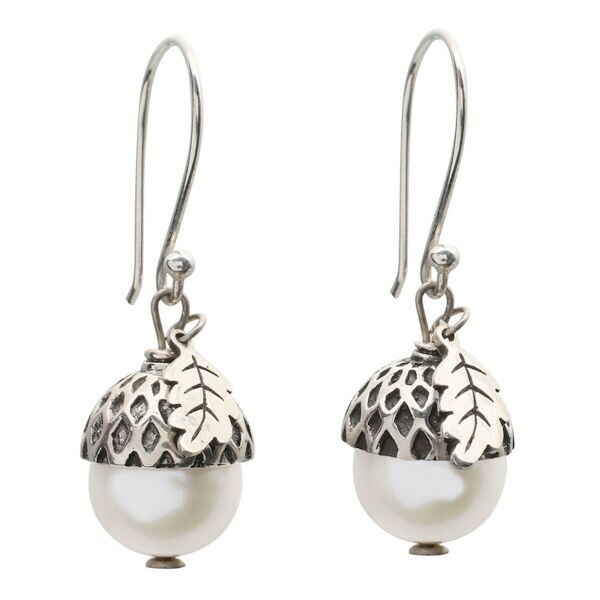 Brown freshwater pearls are topped with sterling silver caps and small oak-leaf charms. Earrings hang 1 7/8" from sterling wires. Only from Signals. Also available in white pearl.